Soyuz Block I rocket stages are often seen re-entering the atmosphere because of the rapid launch rate of the Russian workhorse, having made 16 launches this year, and due to the fact that these rocket bodies often end up in short-lived orbits, especially for crewed Soyuz missions and Progress cargo flights to ISS. 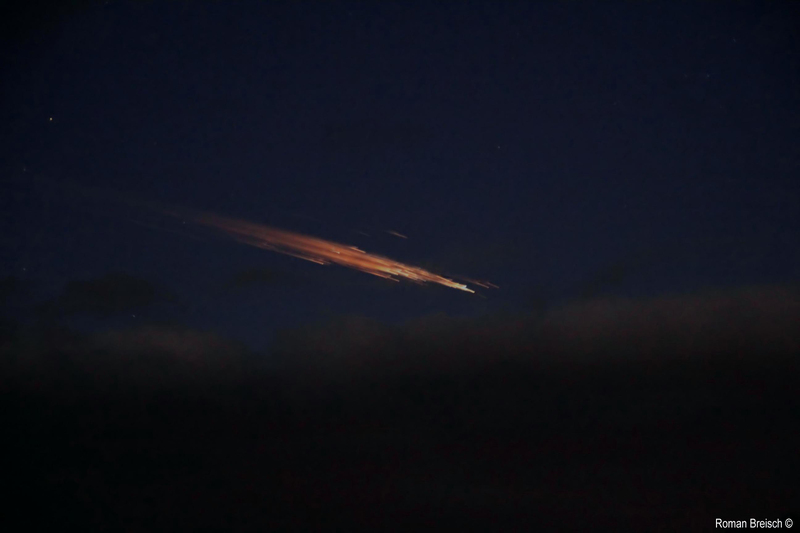 Being a sizeable object, the spent third stage puts on a spectacular show when re-entering in darkness, breaking up in a bright fireball that remains visible for around one minute. 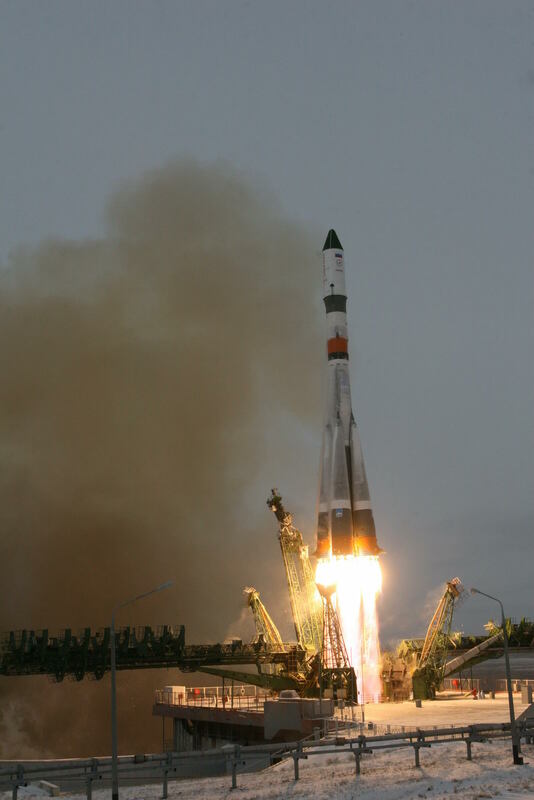 The Soyuz 2-1A carrying the Progress MS spacecraft lifted off from Site 31/6 of the Baikonur Cosmodrome at 8:44 UTC on Monday and successfully reached orbit eight minutes and 45 seconds after launch. 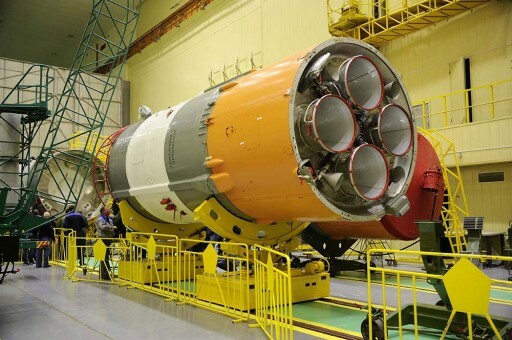 Progress MS was sent on its way to the International Space Station where it arrived on Wednesday for an eight-month stay, making a delivery of 2,400 Kilograms of cargo. 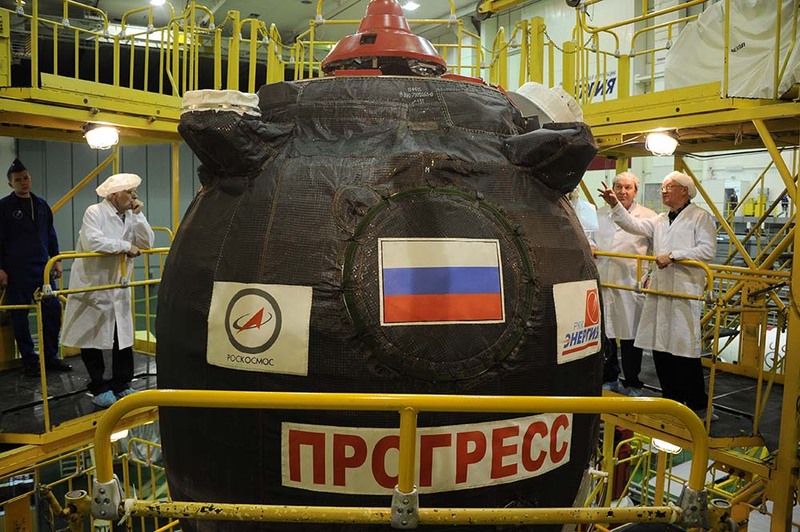 The third stage of the Soyuz conducted an avoidance maneuver by opening up a reaction nozzle, also venting pressure from its tanks. The Block I stage was tracked in an initial orbit of 182 by 210 Kilometers where plenty of atoms and molecules are present to cause drag on the stage and slow it down. Because spent rocket bodies have a low mass and large surface area, their descent towards the dense layers of the atmosphere is relatively fast. 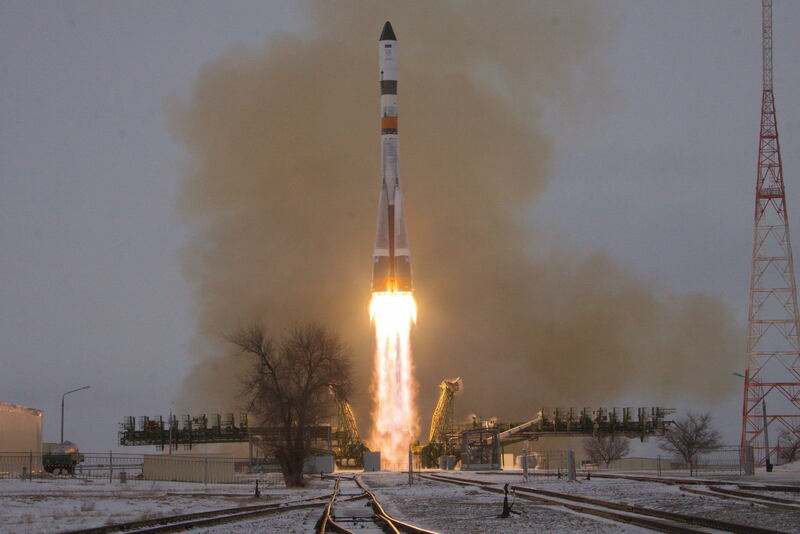 Descending in altitude, the speed of orbital decay accelerates and rockets from Progress/Soyuz launches typically meet their fiery end two to three days after launch depending on atmospheric conditions driven by solar activity. Reports from the south-western United States emerged around 2:10 UTC of a bright fireball streaking across the sky. Photos and videos were quickly shared by those who saw it and many observers believed what they witnessed was a meteor but the speed and appearance of the event were clearly consistent with a re-entering piece of orbital debris. The Joint Space Operations Center tracks all objects in orbit and close attention is paid to re-entering objects using orbital tracking as well as ground- and space-based sensing systems that can detect the signature of a re-entering object, permitting an accurate determination of the decay time and location. For the Soyuz 2-1A third stage, re-entry occurred at 2:08 UTC on Wednesday with an uncertainty window of +/-1 minute placing the re-entry location over California. Approaching its dive into the atmosphere, the rocket stage crossed the California coast line south of Eureka on a track taking it from north-west to south-east. 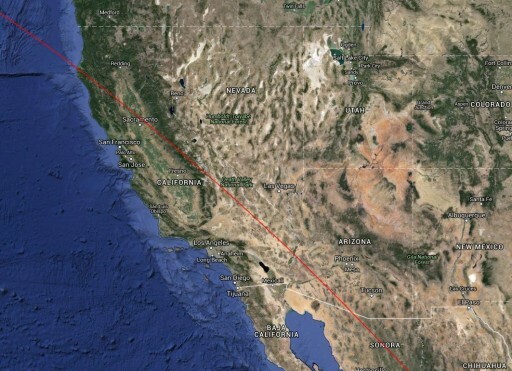 The ground track took the rocket stage just north of Sacramento, paralleling the border of California and Nevada, and passing west of Las Vegas and Phoenix, Arizona. 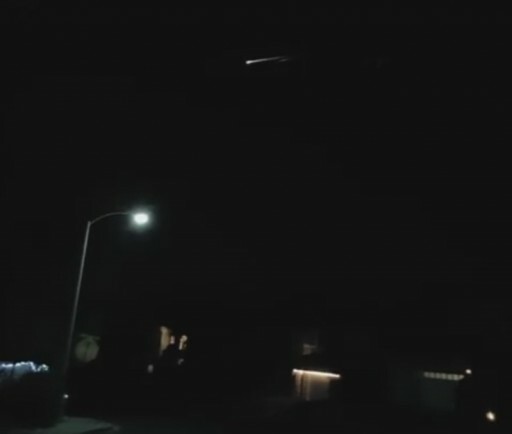 Impressive videos were posted from Las Vegas and sightings were reported from California, Nevada, Utah and Arizona. Observer reports came from as far north a Oroville, California and extended south to Palm Desert. The event was visible from the Pacific Coast as far east as Kingman, Arizona. First, the Soyuz rocket stage only appeared as a small bright dot moving across the sky as plasma began building up around it. As the stage hit the dense layers of the atmosphere, heat began building up around it and drag at the high entry speed of 7.8 Kilometers per second quickly built up to a destructive force, causing the rocket body to break apart. The disintegration of the stage and the individual components, each in a blaze of fire can be seen in videos published on the Internet. 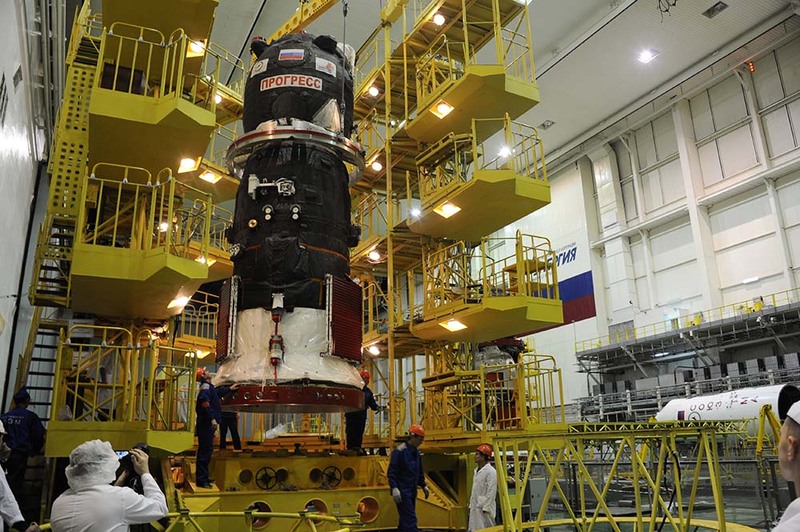 One brighter piece pulls out in front of the smaller debris – likely the heavy engine section of the rocket stage representing the most dense component with the highest kinetic energy. 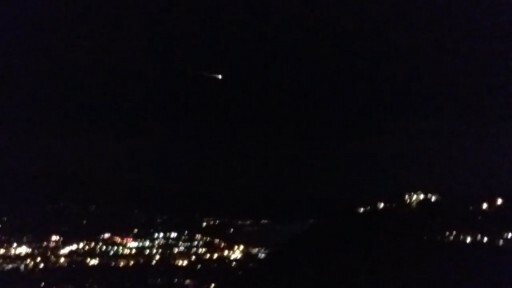 The media quickly reported and the Internet was a buzz within minutes of the event with meteor and UFO reports from a wide area under the entry footprint as is typical for re-entries occurring over densely populated areas. Impressive photos from Las Vegas were published showing a light show in the sky in addition to the iconic lights of the Las Vega Strip. 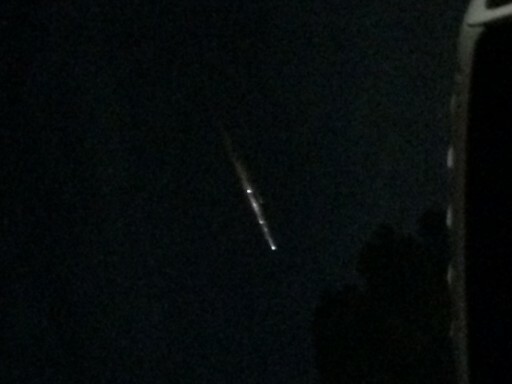 Many observers were mesmerized by the falling rocket stage as it moved silently across the sky, visible for over a minute. 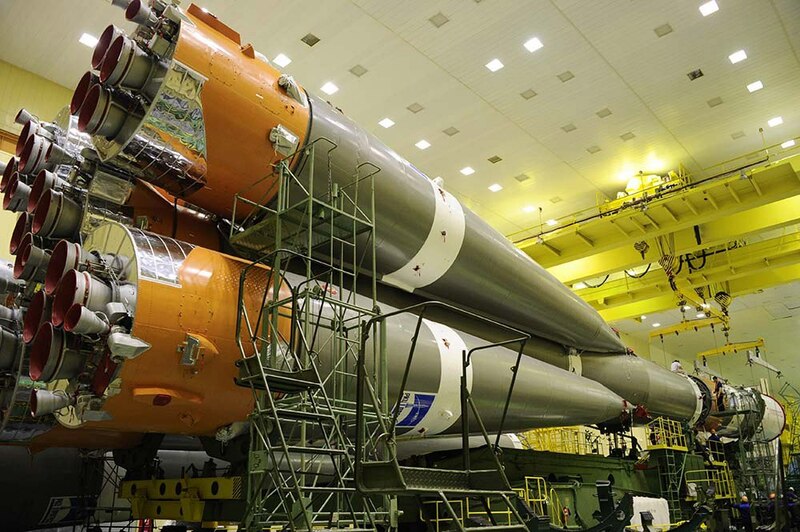 The majority of spacecraft components burn up harmlessly in the atmosphere and never reach the ground, especially for rocket bodies that consist for a large part of thin metal that forms the propellant tanks. However, dense components such as spherical pressurant tanks and engine components can survive re-entry and reach the ground. The modified Block I stage employed by the Soyuz 2-1A rocket measures 2.66 meters in diameter and is 6.74 meters long with a total mass of 2,355 Kilograms, powered by a single RD-0110 engine with four combustion chambers, delivering 30 metric-ton-force of thrust during the stage’s four minutes of operation. Dense components that survive re-entry usually impact 800 to 1,300 Kilometers downrange from the Orbital Decay Point – Atmospheric properties such as crosswinds play a significant role during atmospheric descent. Based on the decay point determined by JspOC and the available observer reports, any surviving debris of the rocket stage likely impacted south of the Mexican border in the Sonora or Chihuahua states. There have been no reports of any debris impacts. 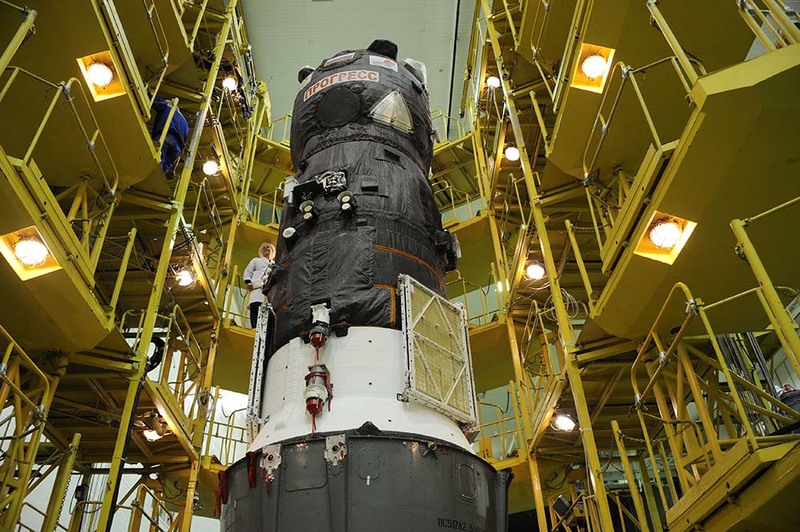 Soyuz rocket stage re-entries have been observed relatively frequently, given the launcher’s fast-paced launch rate and the fact that many Block I stages end up in low-orbits with a rapid decay. 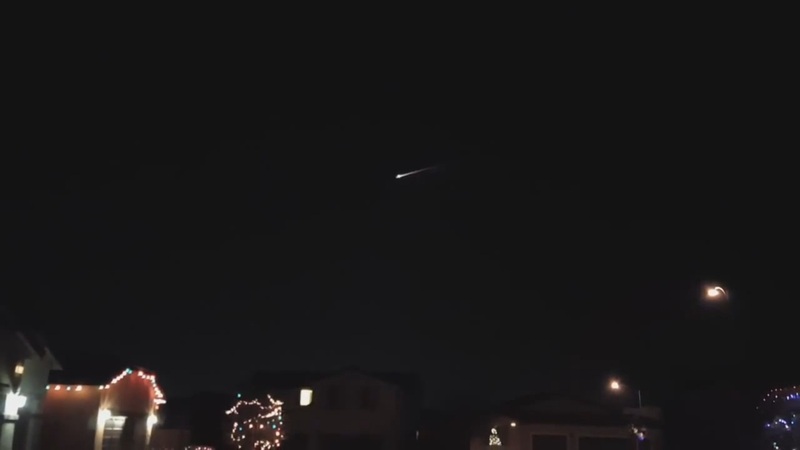 Last week, the re-entering rocket body from the launch of Soyuz TMA-19M streaked across the skies of Newfoundland and Labrador and earlier this year the spent stage from the launch of Soyuz TMA-17M was seen re-entering over French Polynesia. The Block I stage from the TMA-16M launch was seen burning up over Japan in March, the TMA-15M stage overflew Central Europe when re-entering in November 2014, a modified Block I stage that lofted the Meteor M2 weather satellite met its fiery end over Australia in July 2014, and the boosters of the Progress M-18M and Soyuz TMA-03M missions put on a show for Germany and surrounding countries in 2013 and 2011.